M.S. Jacobs handles the Analynk line of industrial wireless products. Available for use in almost every industrial environment, including those rated hazardous, Analynk products enable extension of your industrial WiFi into hazardous areas. Other products enable radio links between process measurement and control locations on a local, remote, or global scale. The video provides a summation of the company's product offering. Share your wireless connectivity challenges with product application specialists and work together to develop effective connectivity solutions. Analynk Wireless is an innovative designer and supplier of wireless instrumentation for the process control industry. Their instruments and equipment have been successfully implemented in numerous applications for temperature measurements, 4-20 mA bridges, discrete inputs/outputs, pulse inputs, lighting and pump controls. Analynk's products are used in both hazardous and non-hazardous locations. Watch the short video for a animated overview of Analynk products and capabilities. Share your wireless connectivity challenges with product specialists. Combining your process knowledge with their expertise with produce effective solutions. Industrial operations and processes are populated with unimaginable variations of equipment and applications, each with specific operating sequences intended to produce a specific outcome. By their scale and nature, most have the capacity to substantially impact the success of the organization. As stakeholders in the operation of industrial processes and equipment, we have an interest in monitoring their performance for any number of reasons. Financial - The investment in plant and equipment is financially significant to a company of any size. An operator benefits from monitoring process inputs and outputs. Scrutinizing the operating status of process equipment and intermediate process conditions provides valuable information that can be used to minimize negative events of many types. Maintenance - Keeping a real time watch over operating characteristics of machinery can present opportunities to head off trouble before it happens. There are many warning signs that can precede equipment failure, and taking prompt remedial action requires issuance of real time warnings. Safety - Industrial operations of all types tend to exhibit levels of hazard to personnel or environment ranging from minor to potentially catastrophic. The rigorous procedures employed to maintain operation within prescribed limits are enabled through the use of information about process conditions. Regulatory - There can be jurisdictional requirements to monitor and report certain process characteristics. An ability to conduct the needed action from afar, without having to station personnel at a remote location, has some real benefit. This list is not intended to be complete or definitive. There are countless ways that process operators can use real time data to enhance all facets of their operation. A challenge arises when the process or operation extends over a large area, perhaps beyond the boundaries of the primary facility. That's where telemetry serves as the means to deliver needed information to a decision making location. Modern requirements for "knowing what is happening" increase the need for telemetry in industrial operations. Telemetry is getting the information you need from a remote or inaccessible location and delivering it to where it can be used for decision making. With the wide array of hardware offered by process measurement and control equipment suppliers, implementing the data collection and transmission has become a fairly straight forward task. Simply put, here is what you need to accomplish. Measure or detect the information needed. You know how to do this. Sensors, counters, or other regularly available process measuring equipment is what is needed here. Convert the measurement into a transmissible form. This will likely be accomplished by the transmission gear. The measurement devices you use should provide an output signal that is compatible with the input requirements of the selected transmission equipment. Transmit the information to the receiving station (the decision making point). The device and equipment manufacturers do most of the hard work of accomplishing this task. Generally, regardless of the transmission method, the extent of the work needed to put transmission into operation involves powering up the equipment and assigning addresses or channels to identify the source of the signal. Receive the signal and convert it to a form readable by the decision making portion of the system. Again, the telemetry equipment manufacturers handle the details in the design of their equipment. Implementation consists of similar steps to those of the transmission equipment. It is recommended that the transmission method be selected first. It must accommodate any challenges presented by the distance to be covered and any obstacles that may impact the delivery of the signal to its destination. Coordinate the measuring device output signal selection with the transmission device input requirements. The receiving equipment must be capable of producing an output signal that is readable by whatever decision making or recording equipment is used. 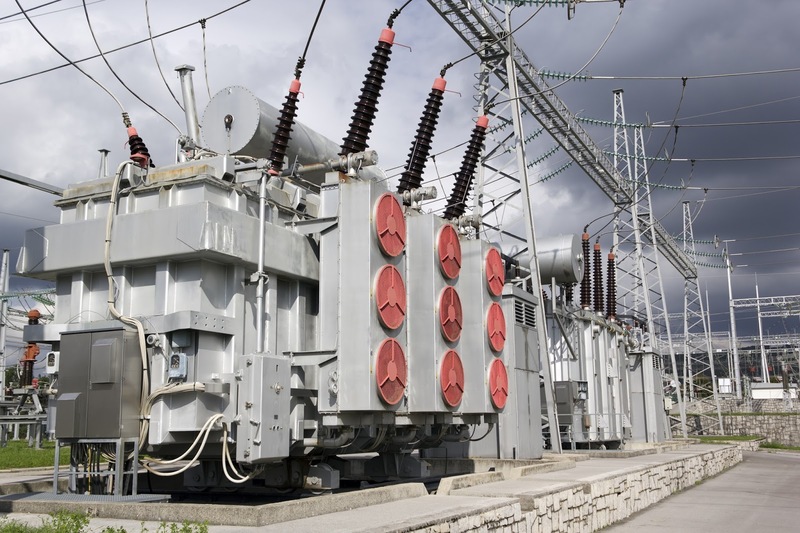 Below is a case study illustrating how a user derived a signal from a utility plant to provide data on local power consumption.You will see how they selected and employed equipment to accomplish the four tasks outlined above. The applications are only limited by your imagination and ingenuity. Instead of wondering about what is happening at remote locations, operators can now easily measure and deliver useful operating information across almost any distance. Share your challenges with process control specialists and develop the solutions you need. One of the manufacturers represented by MS Jacobs & Associates, Analynk Wireless, has redesigned and published an updated website. The new site provides access to features, model configurations and datasheets for their entire range of industrial process control and measurement products. Analynk's product line complements those of other manufacturers in the MS Jacobs portfolio of industrial instrumentation and process control products. MSJ employs the Analynk products, often in combination with products of their other manufacturer lines, to provide complete packaged process control solutions for their customers. Hazalynk® wireless products for hazardous areas, including explosion proof antennas and hazardous area access point enclosures. Sensalynk® single and multi-point wireless transmitters, receivers, and repeaters for industrial wireless networking. Telmar® transmitters, tachometers, signal alarms, power supplies, indicators and meters for process measurement and control. Take a look at the new Analynk website. Discuss your process improvement ideas with product application specialists and develop a plan to generate better outcomes. Today, I am writing about Hazardous Area Access Point Enclosures, but recently have also written about two other Analynk products with which anyone involved with industrial wireless communications should become familiar. Check out New Antenna for Hazardous Area Wireless Communication and Cellular Device Data Links for Industrial Process Monitoring and Control (long titles, but short easily read articles). A product specialist can help you with the latest available information. Contact them to discuss your application and how to best fulfill your hazardous area wireless communication requirements. Wireless communication has seen increasing prevalence in the industrial process measurement and control field for a number of years. Vendors, in response to customers' desire to incorporate the technology across an ever widening array of application scenarios, continue to develop and release new products and technologies that expand the potential for industrial wireless communication. One company, Analynk Wireless, is now shipping a new version of their patented wireless antenna for hazardous areas. We published an article last week about their cellular device data links. The newest Analynk Hazardous Area Antenna provides remote data links for customers using Iridium, GPS, and GLONASS. 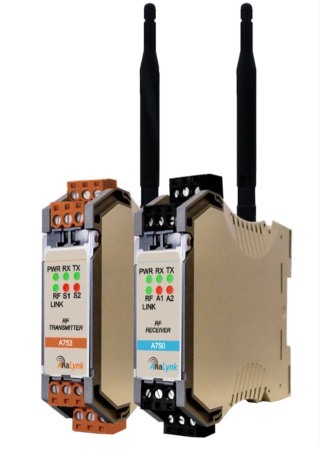 This new product adds to the company's already expansive line of wireless communication products specifically designed for industrial application, providing wireless data links to mobile or very remote locations not always accessible to other communication networks. Analynk's antennas are operable across a very wide temperature range and provide substantial impact resistance, signal output, and ratings for hazardous environments. Contact a product specialist about the Analynk Wireless products and discuss the potential benefits of incorporating or expanding wireless data links of all types into your operation. Industrial process measurement and control is not restricted to the factory floor and fixed installations any longer. Increasingly, there are remote, as well as mobile, installations with a need for remote control command execution, or producing useful and valuable data that can be put to use by operational, safety, and financial stakeholders. Industrial process operators, as well as other levels of the business enterprise, can now have real time access to information that can be used for business and industrial process improvement. Improved wireless technology reliability in the industrial setting. Expanded industrial wireless communications applicability. Simplified the implementation of a wireless communications strategy in an industrial process measurement and control setting. Reduced the cost and timeline associated with installation of a wireless solution. Analynk Wireless, a designer and manufacturer of wireless devices and instrumentation for the process control industry, is adding newly designed cellular devices to their already extensive industrial wireless communications offering. The deployed devices will feature cellular/GPS/GPRS connectivity to allow worldwide transmission and receipt of data via cellular and internet, providing remote monitoring and control through the use of additional connected devices. The applications and opportunities for process improvement through wireless data gathering are vast. The cost and simplicity of these systems make them an option to be considered. More information is available from product specialists, with whom you can discuss your application ideas.